Add patriotism and whimsy to your outdoor activities this summer with a gift from Washington DC Gift Shop! From hats and flags to kites and golf balls, show your love for the great U.S. of A. this season and every season! Add a pop of color to your Spring wardrobe with this 'must have' sky blue scarf. Enjoy Spring with our elegant Pink Sakura Blossom long wrap woman's chiffon scarf. It has a lightweight floating appearance to it. A stylish and practical handmade cherry blossom print umbrella used to give shade from the sun. Order your Official National Cherry Blossom Festival bamboo fabric hand fan today. Crack open a fresh steamed crab with a sturdy cast alloy mallet manufactured to last and be passed down to future generations. Pick steamed crabs like a Marylander without making a mess. Our crab knife is made to work and last. Our 100% preshrunk cotton tee shirt features Maryland State Map of the United States with the state flag and words "OLD LINE STATE" on the bottom. This official Red National Cherry Blossom Festival unisex cotton Tee Shirt features the Thomas Jefferson Memorial surrounded by filigree branches and Yoshino flowers. Our Washington DC baseballs is highly detailed works of art are perfectly at home anywhere in the house or office. 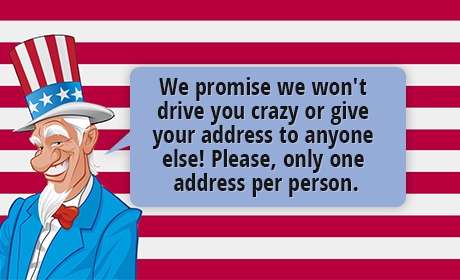 This is a great gift for events, birthdays, and anyone who is a fan of the United States and its favorite past time. 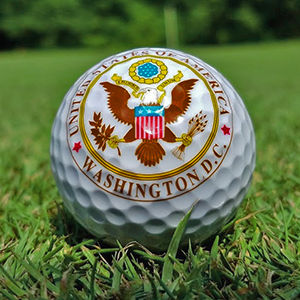 This is a very popular item of Congressional staff and can be seen on fairways throughout Washington DC. Purchase our superior quality White House golf ball at an affordable price. A set of three golf balls (United States Capitol, Great Seal, White House) are enclosed in a plastic sleeve for display. Set of three POTUS Golf balls in clear plastic box. Makes a great inexpensive gift. We cannot keep our American Flag fidget spinners on the shelf. Children, college students and adults are buying and trading our red, white and blue spinner. Our cool, embroidered adjustable pink cap is perfect for leisure and casual wear, on or off the golf course all year through! Own this elegant limited edition National Cherry Blossom Festival floral print scarf. 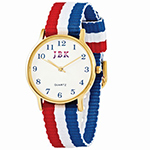 Our patriotic loop scarf will dress up any outfit. Easily pair our stars and stripe pattern loop with a formal dress or your favorite jeans and tee. Women love our raspberry pink patriotic cap! It has an embroidered patterned Great Seal and White House North Portico on the front of the hat. The brim says Washington DC. 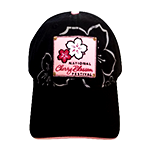 Our Black Cherry Blossom Patch Hat is a popular gift for men. Price: $22.00 Support the Historical Society of D.C. This versatile tote bag and can be used to carry everyday things, such as books, beach wear, cameras, laptops, wallets, or virtually any other items you may need. Made with a thick canvas that can handle any schedule, the Historical Society of Washington, D.C. Tote Bag ranks near the top as a fashion accessory. This pin features the White House, US Capitol, Washington Monument, and the Cherry Blossom season. Spectacular stands of Foxgloves also known as Digitalis have been blooming in Mount Vernon's since George Washington managed his estate. Assortment comes with 3 individual packages of George Washington's Heirloom Mount Vernon Heirloom Seeds of your choice. If you do not specify, we will send you either Nora Barlow Columbine, Colonial Sunflower, Foxglove, Scarlet Rose Mallow Seeds, Blackberry Lily Seeds, and Willings Barbados Bird Pepper Seeds. George Washington Heirloom Seed Collection comes with 6 individual packages of Nora Barlow Columbine, Colonial Sunflower, Foxglove, Scarlet Rose Mallow Seeds, Blackberry Lily Seeds, and Willings Barbados Bird Pepper Seeds. Smokey Bear also know as Smokey the Bear, is one of the most popular advertising mascots the American history. In 1944 an advertising campaign was created featuring Smokey Bear with the slogan "Smokey Says - Care Will Prevent 9 out of 10 Forest Fires". Smokey Bear's later slogan, "Remember... Only YOU Can Prevent Forest Fires", was created in 1947 by the Ad Council. Give this adorable Bobblehead to someone you love this holiday season! This one-of-a-kind United States Marine Corps windsock shows your support for the United States and the Marine Core in a fun, fashionable way. Perfect for the summer but strong enough to handle weather all year round this 40 inch windsock is made with fade resistant fabric features the colors and crest of the United States Marine Corps. Show your pride for your country and the United States Army with this quality summer windsock. Made with fade resistant fabric, this high-quality U.S. Army windsock measures 40 inches features the colors and crest of the Army along with the text, "UNITED STATES ARMY". Celebrate the summer season with this quality United States Navy windsock. This 40 inch high-quality, fade resistant fabric windsock features the blue and gold colors of the U.S. Navy along with a Navy emblem. Perfect for any home that wants to show off their American pride and support of the U.S. Navy. These Patriotic Pinwheels are the perfect summer toy for children of all ages. Show off your patriotic spirit with this 8 piece set of red, white, and blue pinwheels that are made of quality mylar. These summer toys can also serve as home decorations and come on 12 inch plastic wands. Measuring a whooping 16 x 12 inches the US Marine Corps Hot Air Balloon makes the perfect outdoor addition to your patriotic collection. Easy to assemble this product is made with fiberglass rods and a sturdy hook to hang and a heavy swivel to attach the spinner tail. Show off your American pride with this fun summertime tribute to the United States Army. Complete with a 26 inch twisting tail the Army Strong Balloon measures an impressive 16 inches by 12 inches. 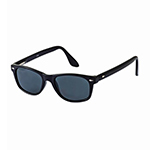 This item is an officially licensed product by the U.S. Army. An officially licensed product by the Department of the Navy this patriotic display is made with quality weather resistant polyester and measures 16 inches by 12 inches with a 26 inch tail.